I am excited for Spring to come. While I was designing this it was snowing! Can you believe it?!? Well, I can. It's Idaho. The weather is unpredictable everywhere I think. Spring will come ... someday ... and I can't wait! In the meantime, I hope this desktop background will help you feel a bit more "springy". Enjoy! 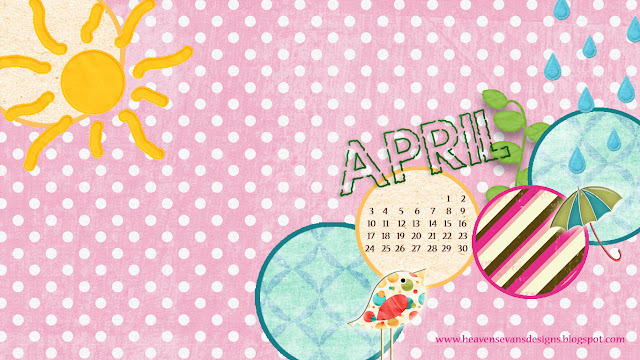 And have a GREAT April! !